This Friday sees the release of Swedish director Tomas Alfredson's new adaptation of John le Carré's 1974 spy novel Tinker, Tailor, Soldier, Spy. And since le Carré is an author I've returned to a few times on Existential Ennui (click on his tag at the bottom of this post to locate previous entries), and Tinker, Tailor... is among the best books I've ever read, this week's posts will be exclusively dedicated both to le Carré and to the novelist's most famous creation, George Smiley, star of Tinker, Tailor... and its sequels, 1977's The Honourable Schoolboy and 1979's Smiley's People (not to mention many other novels besides). 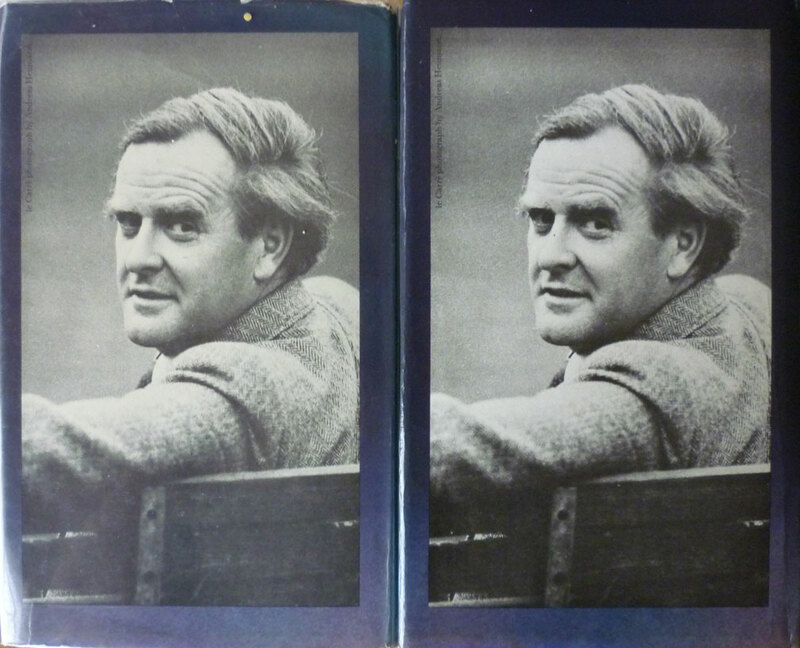 Together, those three books form the "Karla Trilogy" – or "Quest for Karla" – and over the coming days I'll be reviewing the second and third instalments in that trilogy – with a special focus on the 1982 television adaptation of the latter – as well as taking a look at the final le Carré novel to feature Smiley. A British first edition of Tinker, Tailor, Soldier, Spy, published by Hodder & Stoughton in 1974. Now, regular readers might recall my having blogged about this magnificent book – in this particular edition – before. Most recently that was in this post, in which I reviewed the novel – although in truth that "review" consisted of little more than a hastily assembled string of nouns – and then banged on about its 1979 BBC TV adaptation; needless to say this is precisely the blueprint I intend to pursue with Smiley's People later this week. 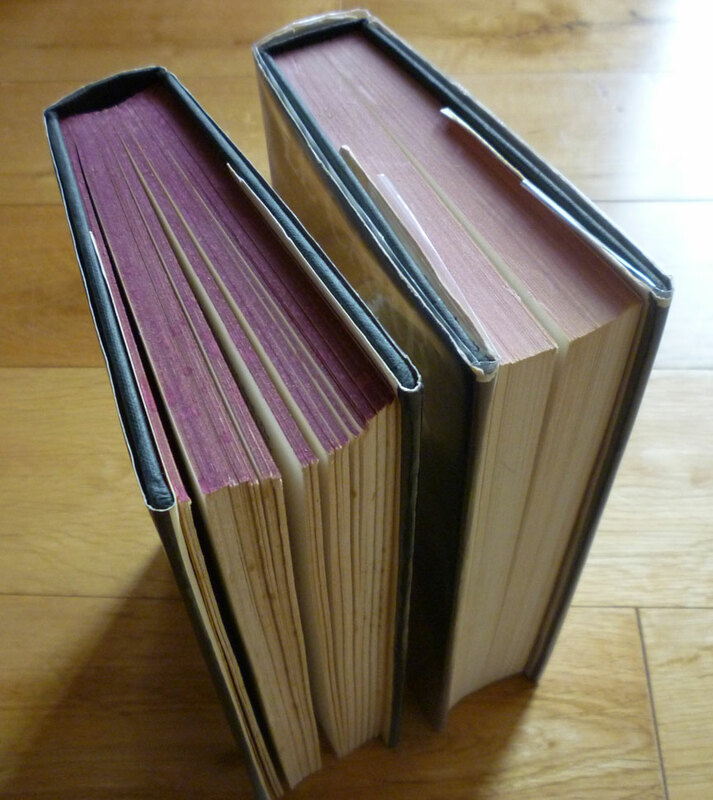 But I also blogged about the book in this post, in which I examined various aspects of the British first edition – its cover design, photography and so forth – along with its collectibility and value at that point in time. Despite this flaw, I was perfectly happy with this copy. But then more recently I happened to be browsing Amazon Marketplace and spied (ba-dum, tish) a very cheap copy – as in, a couple of quid – of what I suspected might also be a first edition (the item description was somewhat minimal). So I took a punt, and it turned out it was indeed the first edition – and first impression (the Hodder first went through at least three printings, later printings of which can be identified by the words "Second impression" or "Third impression" directly after the "First printed 1974" in the copyright text block). Result. See, while British first editions of the novels either side of Tinker, Tailor, Soldier, Spy are in fairly plentiful supply (with the exception of the three novels from the beginning of le Carré's career and one or two more recent efforts), firsts of Tinker, Tailor... itself have become rather scarce. 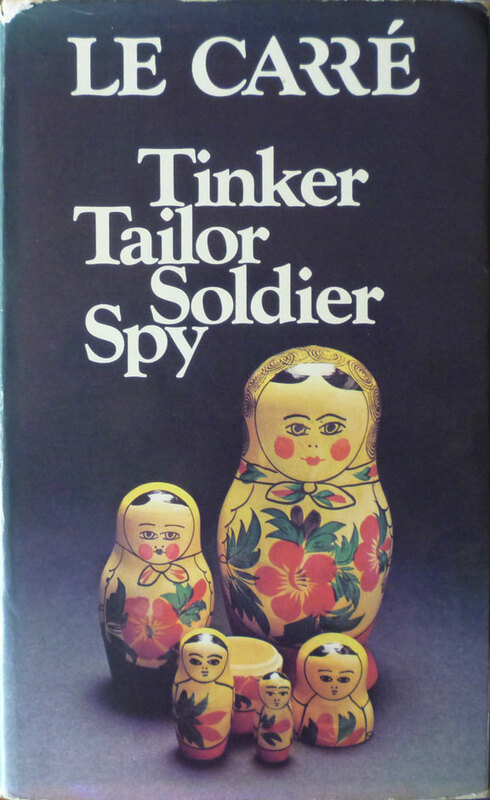 That might be down to it being widely regarded as le Carré's best novel – perhaps rivalled only by 1963's The Spy Who Cam in from the Cold – but I suspect it might also be because, back in 1974, there hadn't been an espionage novel from the author for six years. 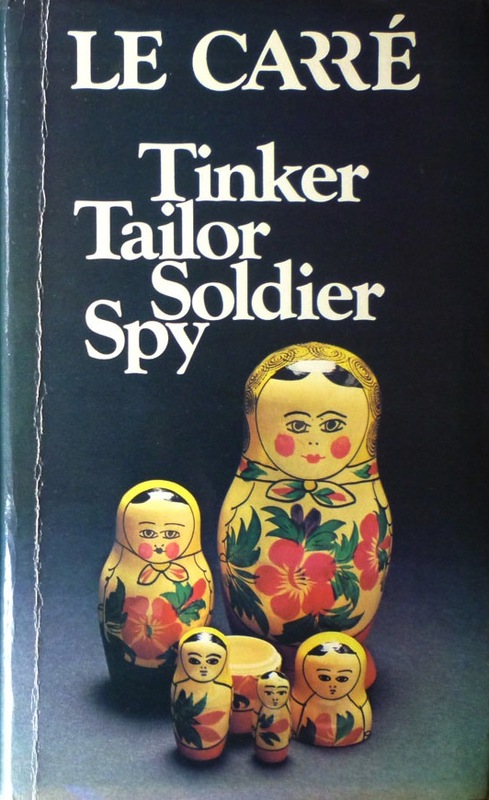 The book immediately preceding Tinker, Tailor..., 1971's The Naive and Sentimental Lover, was an autobiographical work written in the wake of the breakdown of le Carré's marriage; his last spy novel, A Small Town in Germany, was published in 1968. So his return to the genre might explain the multiple printings of Tinker, Tailor... and consequent scarcity of the true first. * Belatedly, I decided to sell the first copy. The eBay listing can be found here. That's no bloody help, Matt! If I bought a US first as well I'd have three bleedin' copies of the same bleedin' book! You will dither, of course, but I would keep the most recent copy. Thanks for the informative words on ID'ing a first of this great book. Unlike you, I didn't hesitate, and mine is posted on ye olde eBay. True to form, Andrew, I still haven't got round to selling my spare copy. Sigh. Let me know how your auction goes! 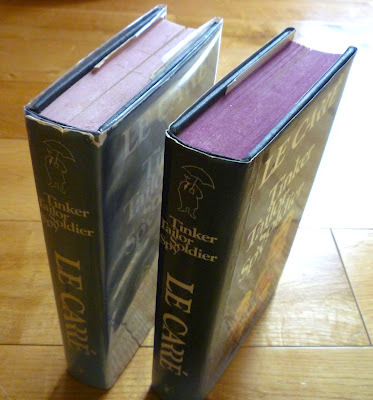 For any fans of Le Carre, do you know of any good sites that would have information on Le Carre American first editions, mainly the early ones? Trying to figure out how to determine if you've got a real first for his early books is a bit challenging. Any advise is appreciated! Managed to pick up signed 1st copies of the three Karla books and would like to keep going. is as good a place to start as any – it's on a Parker novel, but it talks about how to identify US first editions – but you can always leave a question on this post, or drop me a line on existentialennui@gmail.com and I'll do what I can to help. However I picked it up pretty cheap and I'm skeptical this is the true first American. I've also seen this cover out there - http://bit.ly/NDVG1V Both were published by Walker and Company, but I'm thinking the first is a book club edition? It appears at some point there was a change to the cover, going from 3 quotes on the back to 4. There are also occasional vague references to some sort of elusive "W" appearing in certain editions, maybe signifying a true first? Anyway, if you or anyone else out there has any knowledge on this, that would be great! Ha, having offered to help, I realise I'm probably not going to be much help at all. But it does look as if the edition of Call for the Dead you have is the book club edition, although there's some dispute over that. As to your Spy question, that one I have no idea on. Anyone else...? Ok, not sure if anyone will really be interested, but I’ve done some searching and have some answers on a true first "The Spy Who". The last point is important, because it appears there was a 25th anniversary edition that recreated everything seen on a true first edition, except for the price. It was released with a pamphlet written by the American editor that took a chance on it being a best seller. It can really fool you. 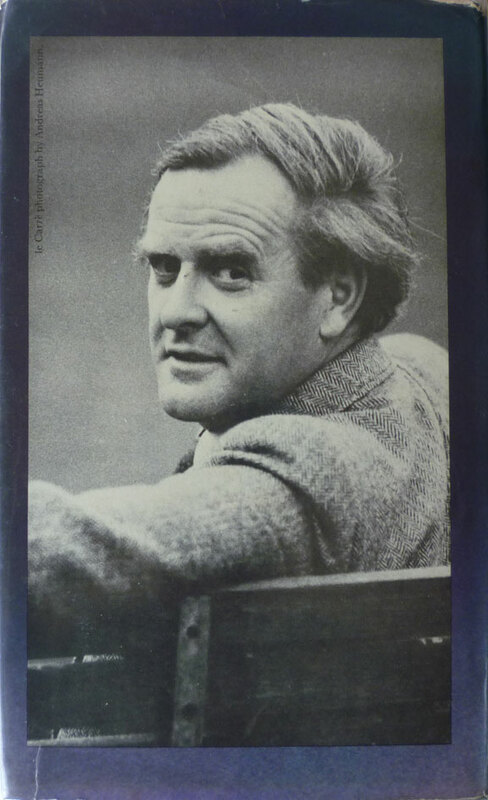 On a slightly related note, for a couple dollars online, I picked up a omnibus edition from the 80’s of Spy who, Lookingglass, and Small town in Germany that had been signed by Lecarre. 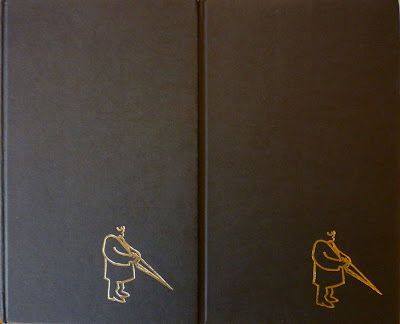 The interesting thing is, it was signed on the main page, but also on each of the title pages of the different novels. 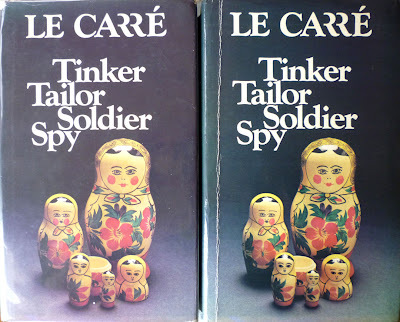 So it’s quadruple signed by Lecarre. Not sure that adds much value, but it’s kind of fun as a curiosity. I'm certainly interested, Jeff – that's the kind of minutiae I thrive on. Nice score on the signed omnibus as well. Quite unusual for a book to be quadruple-signed, I'd say. I have the odd double-signed one – on the endpaper and title page – but not quadruple. 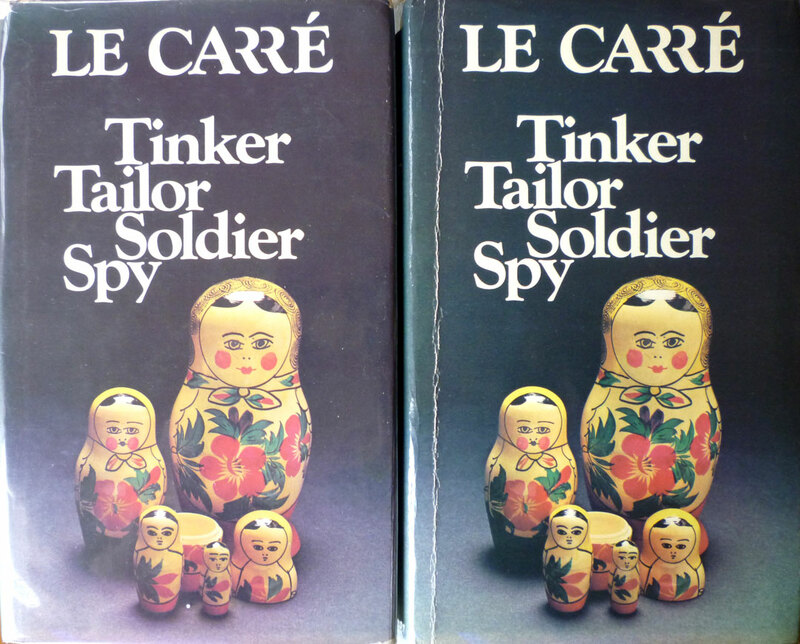 And the only signed le Carre I have is a first of Our Kind of Traitor.